This beautifully proportioned 4,060 sq. ft. home features a stately living room, formal dining room and huge corner eat-in-kitchen with adjoining great room all overlooking Madison Avenue, as well as five bedrooms and five-and-a-half bathrooms. In this flawlessly designed home, entertaining and living space blend seamlessly to create the pinnacle in luxury living. A large entry foyer welcomes you to a dramatic gallery, leading to all entertaining rooms with grand avenue views. The corner state-of-the-art chefs eat-in kitchen features custom white lacquered cabinetry offering abundant storage, resilient polished Quartzite countertops and breakfast bar, Dornbracht fixtures, and all top-of-the-line Miele appliances including a 5-burner gas stove, whisper-quiet dishwasher, double wall oven, 36" integrated refrigerator and 106-bottle wine refrigerator. The large master suite features a windowed spa bathroom with custom double vanities in Sycamore wood with polished Statuario Faina marble countertops, large soaking tub, separate glass-enclosed shower and polished nickel Waterworks fixtures. There are four additional bedrooms, each with its own en-suite quartzite and marble bathroom, any of which can easily be used as a library or home office as well. Additional features include 7" wide plank bleached quarter-sawn White Oak flooring throughout, radiant heat floors in all full bathrooms, state-of-the-art electronic and temperature controls and private laundry. The Carlton House has been transformed to the highest standards of the 21st century. 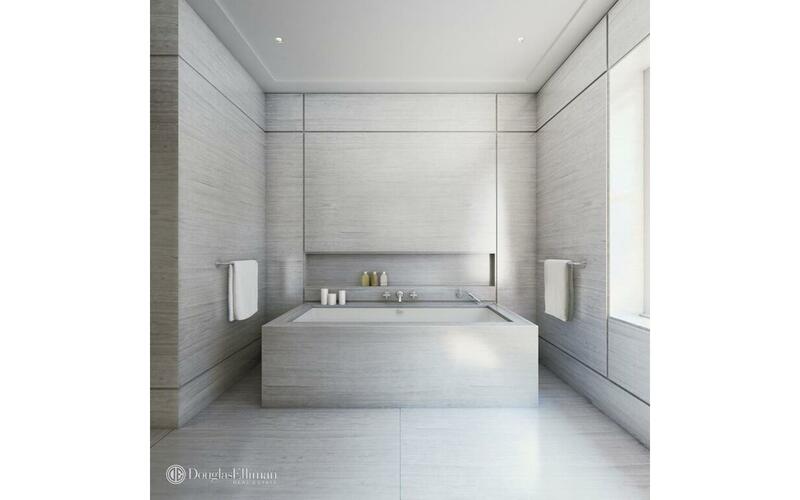 Imagined and designed by the famed Katherine Newman Design Team with architecture by Beyer Binder Belle Architects, this luxurious building has set a new standard for new developments in Manhattan. In addition to its sumptuous design, the Carlton House offers impeccable services, including a 24-hour doorman and concierge, hotel services available through Luxury Attache, and a state-of-the-art fitness center with a 65-foot indoor swimming pool, steam and treatment rooms, a game room, storage and bicycle storage. Perfect as full-time residence, pied-a-terre or investment and can be bought in LLC, trust and corporations. The complete offering terms are in an offering plan available from Sponsor. File No C11-0007. 25 year 421-A tax abatement.The crown jewel of Circa Central Park, spanning the entire 11th floor, this five bedroom, three-and-on-half bathroom Penthouse enjoys 3,734 square feet of interior space and a 1,219 square foot private terrace overlooking Central Park and Morning Side Park with views Midtown and the George Washington Bridge.Ideal for entertaining, this home boasts a spacious open living/dining room area with a state-of-the-art kitchen. Enjoy endless possibilities with custom Italian cabinetry that provide ample storage space, a generously sized quartz topped center island, Sub-Zero custom paneled refrigerator and freezer, Bosch gas cooktop and dishwasher. Step out onto your private balcony conveniently located off the living/dining room and enjoy expansive views of Central Park.The master bedroom comes with magnificent views of Central Park and a 5 fixture ensuite master bathroom adorned with polished white marble tiles on the floors and walls, and a honed grey limestone mosaic accent that wraps elegantly from floor to wall. The spa-like features include a white lacquer vanity with double sink, gloss-white cabinetry, bathtub with a separate glass enclosed shower and toilet all by Duravit. 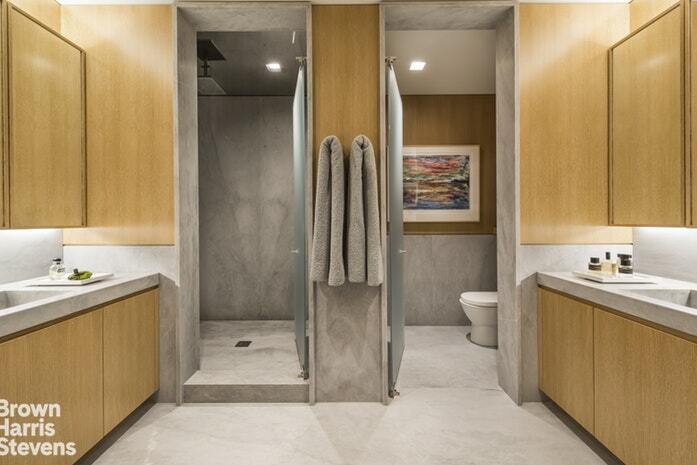 The second and third bathrooms enjoy rich wood-tone porcelain tile on the floors while the walls feature sleek natural stone-tone porcelain tiles with a textured accent mosaic wrapping from floor to wall. Additional features include a Duravit gloss-white cabinet, glass enclosed shower, and toilet. All bathrooms are finished with Grohe fixtures.Additional features of this residence include oak hardwood floors, radiant floor heating, LG vented washer/dryer, central heating and cooling and floor-to-ceiling windows.Circa Central Park, uniquely located on Manhattan's Upper West Side on the corner of 110th Street, where Central Park West meets Frederick Douglass Boulevard. 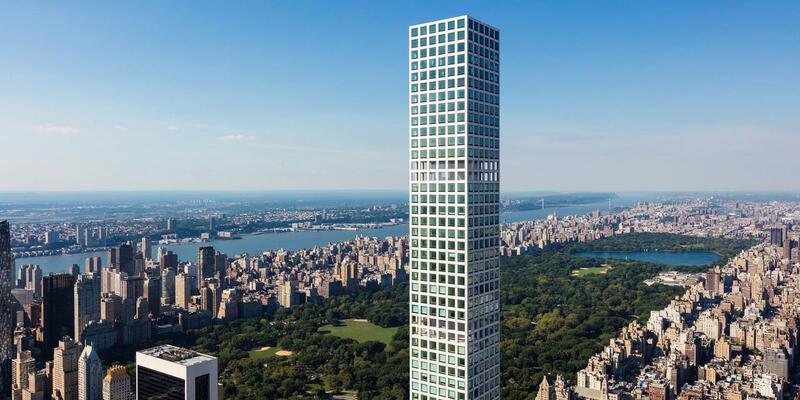 This magnificent new development condominium offers unobstructed panoramic views of Central Park. Renowned architect FXFOWLE has created 38 striking residences that echo the gradual curvature of Frederick Douglass circle. This eleven story condominium features several, generously-spaced cascading terraces that offer the ultimate in outdoor living. The innovative shades on the exterior faade feature a lowering system designed to minimize the glare from the sun while maximizing opportunities for natural light. Designed with simplicity and modernity, these one to five bedroom residences are one of kind. The Penthouses boast some of the most spectacular views in the city, capturing Central Park as it evolves throughout the seasons. Amenities include a spacious, gallery-like lobby with a twenty-four hour doorman and double height expansive glass walls that allow for plentiful natural light. 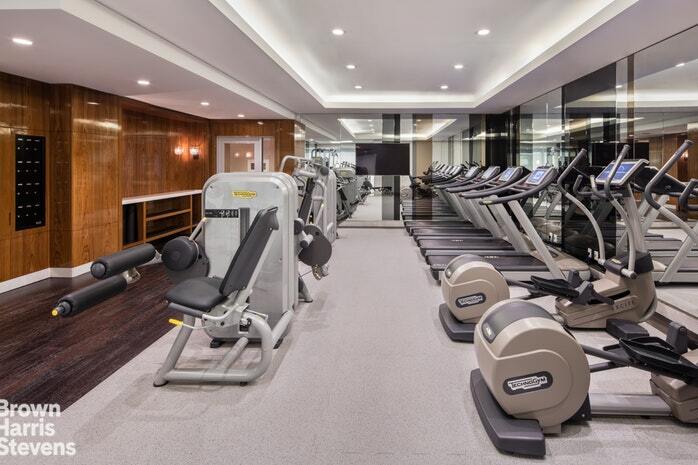 Overlooking the lobby is a 3,000 square foot, landscaped courtyard that is conveniently located next to a state-of-the-art fitness center, playroom and residents lounge. Circa has LEED Silver certification. Other modern and functional living amenities include a shared rooftop terrace with grill, bike and individual residents storage, on-site parking with electric car charging stations, a study and tween room equipped with Mac computers and game stations, and a live-in super. With the park at your doorstep, Circa also offers a bike share, scooters, remote control boats and fully equipped picnic baskets to allow residents to take full advantage of their proximity to the park. Descriptions of building details and finishes contained in this document aresubject to change by the Sponsor in accordance with the terms of the OfferingPlan. Sponsor reserves the right to make changes in accordance with the OfferingPlan. The complete offering terms are in an offering plan available from thesponsor File No. CD 150033 Sponsor: Crescent 110 Equities LLC and CircaEquities LLC 316 West 118th Street New York, NY 10026. 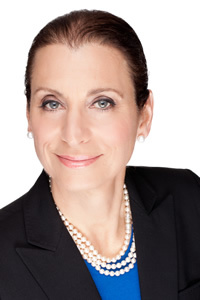 The CorcoranGroup is a licensed real estate broker located at 660 Madison Ave, NY, NY10065. All material herein is intended for information purposes only and hasbeen compiled from sources deemed reliable, but Corcoran makes no warranty orrepresentation as to the accuracy thereof. All dimensions provided areapproximate. To obtain exact dimensions, Corcoran advises you to hire aqualified architect or engineer. 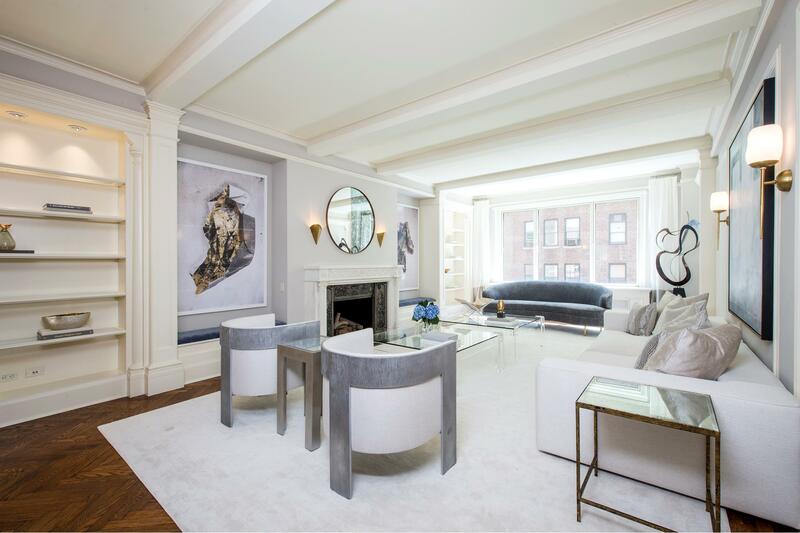 Pre-War Candela Condominium on Landmarked East 88th StreetGraciously appointed with stunning pre-war detailing, Residence 5B spans a half-floor at 12 East 88th Street and features five bedrooms and five and a half baths with 3,690 SF of thoughtfully-designed interior space. The residences generously-scaled living/dining room, study, and kitchen face landmarked East 88th Street, offering charming, historic views of the blocks landmarked townhomes. The oversized chefs kitchen features custom wood cabinetry, Covelano Oro marble countertops and backsplash, and appliances by Wolf and Sub-Zero. A separate wet bar allows for seamless entertaining. The generous master suite features three oversized closets and an en-suite, five fixture master bath with Dolomiti White marble walls, floors, and counters, a soaking tub, and a separate shower. A separate laundry room allows for ultimate convenience. Immediate occupancy.Located in the heart of Carnegie Hill, Manhattans most distinguished Upper East Side neighborhood, adjacent to the Guggenheim Museum and less than a block away from Central Park, 12 East 88th Street is the classic pre-war condominium residence updated with modern conveniences, finishes, and features. Designed nearly a century ago by the famed Gilded Age architect, Rosario Candela, 12 East 88th Street offers a rare pedigree. Each residence has been thoughtfully rescaled for the needs and tastes of modern residents, with updated touches by renowned firm Champalimaud Design. Curated amenities include a fitness center and playroom leading onto a landscaped terrace.The complete offering terms are in an offering plan available from Sponsor. 12 East 88th LLC, 757 3rd Avenue, 17th Floor, New York, NY 10017. File No. CD14-0260. The artist and computer renderings, photographs, interior decorations finishes, fixtures, appliances and furnishings are provided for illustrative purposes. Sponsor makes no representation warranties except as may be set forth in the Offering Plan. Equal Housing Opportunity. No detail spared in this stunning, triple mint 3 bedroom 3.5 bathroom home with direct views of the Hudson River and the Statue of Liberty. Beautifully crafted by architect Gary Morgenroth and incredibly executed by Michael Vella from Vella Interiors this home has everything one could wish for. The oversized chef's kitchen has countertops made of Grigio Carnico Marble with ample island seating. The custom designed kitchen cabinetry outfitted with Nanz hardware has all top of the line appliances including a six burner Wolf stove with additional griddle, Miele Futura Dimension dishwasher, built in Miele cappuccino machine and microwave, Subzero refrigerator and freezer, purified water and much more. In addition, there is substantial storage space and a large walk-in kitchen pantry. Great layout with a separate sleeping wing which allows for privacy from the living area. The corner master suite features a large dressing room with fully outfitted closets and built in leather accented center console which provides an incredible amount of added drawer space. 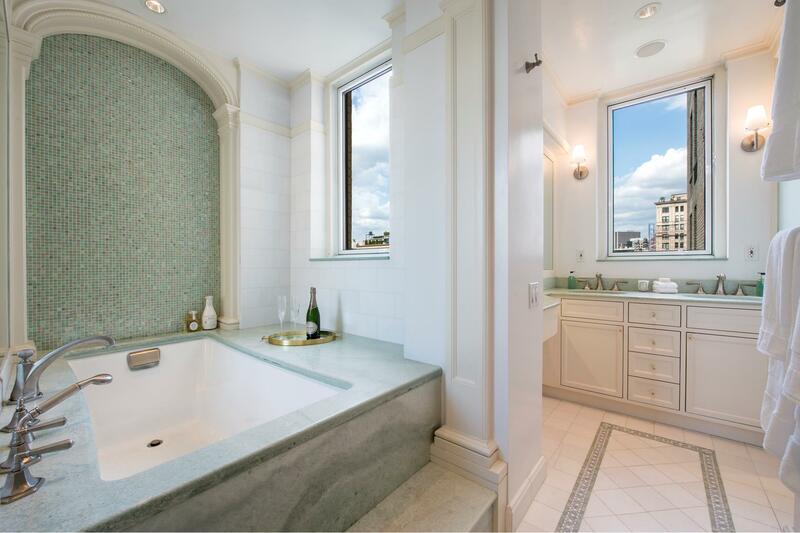 The sumptuous master bath with double sinks is done in Blue de Savoie Marble. The two additional bedrooms are gracious in size with large closets and en-suite white marble baths. All bath fixtures are by Dornbracht. Additional features include Nanz Hardware used throughout the apartment for all the doors, cabinets and windows, African Bubinga hardwood floors and Venetian plaster walls and ceilings throughout the common areas. All the windows were replaced with high quality sound proof windows from Germany. In addition, there is a laundry room with a vented Whirlpool Duet washer and dryer. This smart home is installed with state of the art audio and visual elements designed by Audio Interiors. Wall Studio did all of the lighting design which is controlled by a Crestron system. There are motorized shades throughout. A special HVAC system with humidity control specifically designed for art collections has been installed. River Lofts is a boutique condominium which was converted in 2003 from a former 19th century cast iron and masonry warehouse. 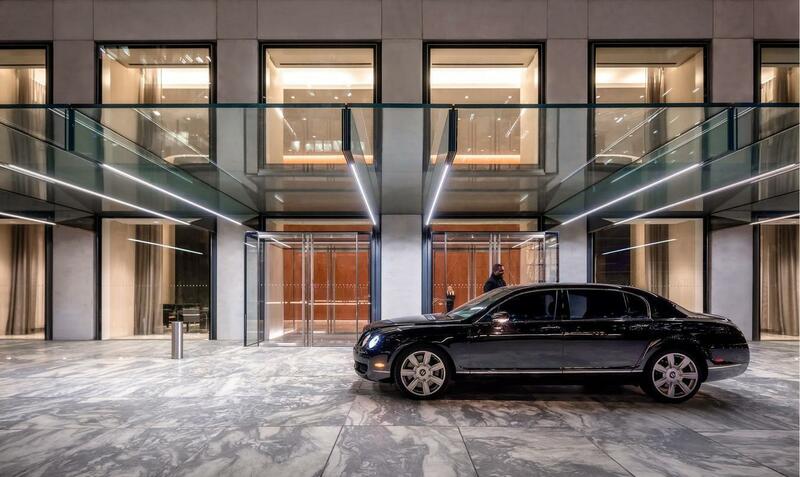 Built to the highest standards this building offers elegant full service luxuries, including a 24 hour doorman, state-of-the-art fitness center, bicycle room, and elevator access to the indoor garage. This listing is a Co-Exclusive. 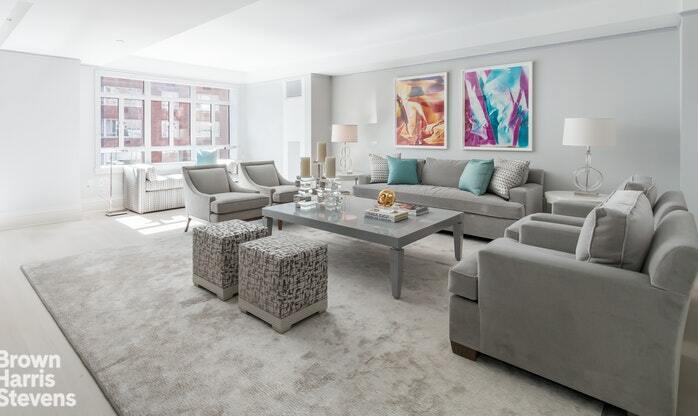 This three bedroom, three and one half bath condominium residence in the much celebrated and sought after 7 Hubert Street is the ideal home for those with luxurious tastes. 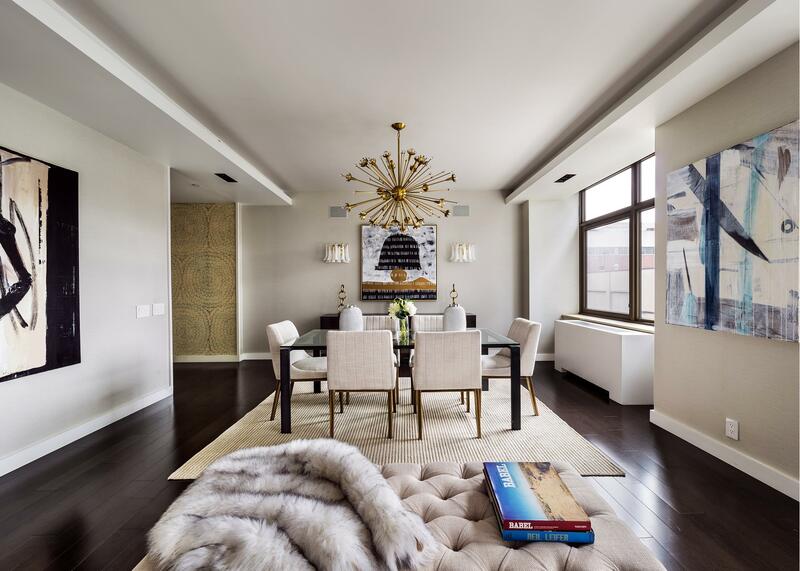 Deeply hued white oak flooring leads you through the gallery toward the wide open living room with soaring 12-foot ceilings and surrounded on three sides with floor-to-ceiling windows facing north, west and east over the Tribeca roof tops. The two planted and irrigated terraces flanking the living space suggest the perfect locale for an alfresco morning coffee or evening cocktail. The kitchen has been impeccably reimagined to capture both form and function featuring Bulthaup cabinets, Dornbracht fixtures, a Sub-Zero refrigerator and wine cooler, and Miele exterior vented cooktop, oven, dishwasher, convection oven, and built-in espresso station. The sizable center island is wrapped in honed 2-inch Calcutta Nuvalato. An enormous master bedroom suite is the sole occupant of the west wing of the home, promising privacy and relaxing quietude. With ample fully outfitted custom millwork closet space, room for a large seating area, electric blackout curtains, and a Haisa Light marble clad spa-like master bath with radiant heat floors, soaking tub, and rain head stall shower, this retreat exceeds all expectations. The east wing offers two additional bedrooms, both with en-suite bathrooms and a stunning powder room for guests. All bath fixtures are by famed Danish design company Vola. This apartment is fully wired with a Savant home automation system and top-of-the-line built-in speakers are concealed throughout. Linear diffusers discreetly provide heat and A/C, both controlled by the Savant central iPad or via your personal smart phone or tablet. Programmable Lutron lighting helps set any mood in all rooms. For added convenience, a full-size washing machine and vented dryer are conveniently located in the unit. 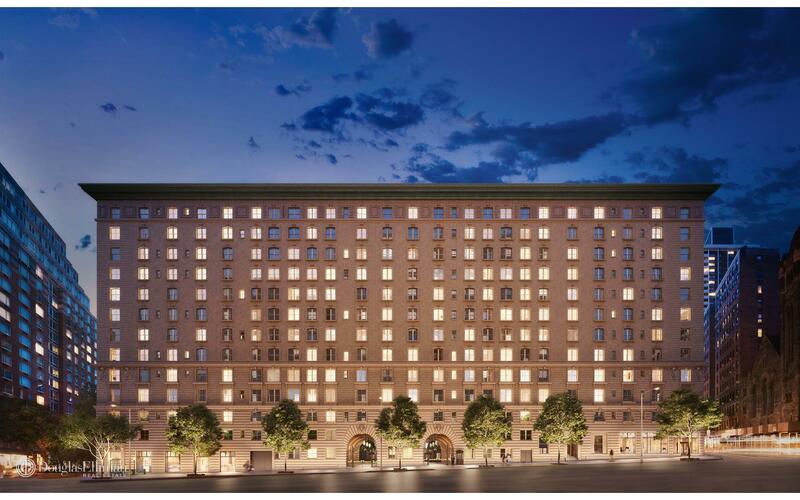 Designed by BKSK Architects and built in 2004, The Hubert boasts a full-time doorman and porter, live-in superintendent, fitness center, bicycle storage room, children's playroom, and common garden. 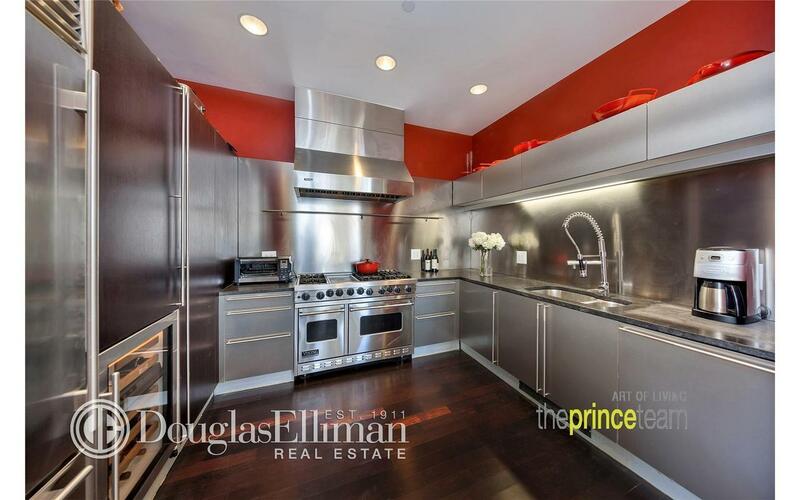 The location, close to Hudson River Park and mere steps to renowned dining and shopping options, cannot be surpassed. 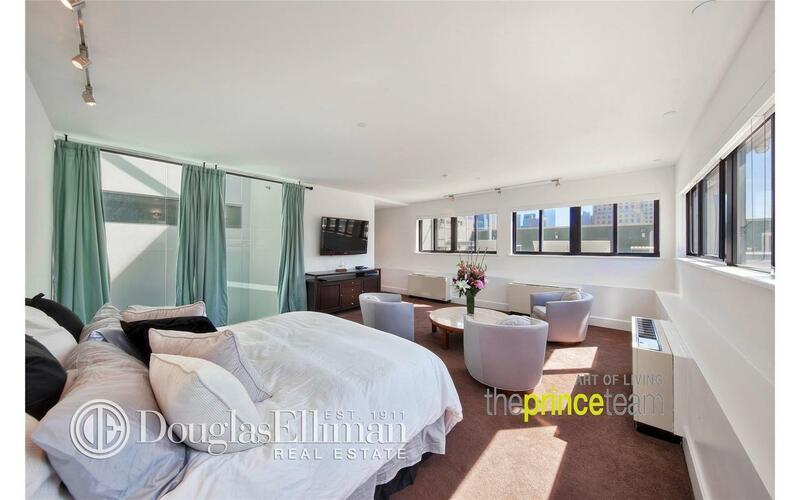 This masterfully conceived three bedroom, three and half bathroom residence embraces East and West exposures, with beauty abounding throughout its sumptuous open layout. 10 foot ceilings, fully restored, oversized mahogany windows, and white oak floors with chevron and plank patterns throughout complement this sprawling 2,249 square foot home. ~1,100 sf PRIVATE TERRACE* PRIVATE DEEDED PARKING SPACE* PRIVATE CELLAR STORAGE ROOMThis penthouse is nothing less than a perfect hit. A dream home with a legendary musical history, this 4 bed/3.5 bath massive SOUTH & WEST FACING CORNER DUPLEX boasts over 3,700 sf of interior space, including a home office; and an ~1,100 sf PRIVATE TERRACE presenting breathtaking views of New York City and the Hudson River. Privacy is this home's ultimate maxim- a PRIVATE DEEDED PARKING SPACE also available in the building allows for discreet entrance and exit to the building.Featuring lofty 12' ceilings with double paned towering 9' windows on every side, this duplex has unique highlights such as interior windows within the master bedroom and bathroom overlooking a dramatic DOUBLE HEIGHT foyer with an expansive skylight. The bathrooms feature Kohler bathtubs and Waterworks fixtures offering a spa like atmosphere. Dark oak hardwood floors throughout including in the state-of-the-art chef's kitchen that features stainless steel cabinets, stone counter tops, Subzero Refrigerator, vented gas Viking range, and Bosch Dishwasher. And if there wasn't already enough glamour; the fireplace, washer/dryer, and PRIVATE CELLAR STORAGE ROOM ultimately add personalized touches to this fine home. Just minutes from Central Park, Columbus Circle, Times Square and the Hudson River, The Hit Factory is located in the heart of Hell's Kitchen. The Hit Factory is a legendary place and one of the best-known recording studios of all time. In its day, bands recorded tracks and albums in its luxurious cutting-edge studios, earning The Hit Factory a world-wide reputation for producing landmark music and platinum sales. Some of the famous musicians who recorded here include: The Rolling Stones, John Lennon, Billy Joel, Bruce Springsteen, Stevie Wonder, Eric Clapton, Paul Simon, Michael Jackson, Madonna, U2, Christina Aguilera, and Mariah Carey. In 1994, The Hit Factory made recording history when 41 Grammy nominations were awarded to songs that were recorded, mastered or mixed on the state of the art equipment for which the Hit Factory became internationally famous. The building amenities include, 24 hour doorman, gym, private parking space, and private storage. Set in the heart of one of the world's best zip codes, this prewar classic nine is unlike anything else on the market. The grand south-facing living room with a wood burning fireplace and built-in bookcases is ideal for entertaining. Across the gallery is the spacious dining room with a high beamed ceiling and herringbone floor. The large eat-in cooks' kitchen has an inviting breakfast area with a banquette by the window, custom tiger maple cabinetry with granite counter tops, a butler's pantry and a solid wood floor. The top of the line appliances include two dishwashers, refrigerator, Viking range, wine refrigerator, ice maker and water filter. There are three beautifully proportioned bedrooms plus a library (easily converted to a fourth bedroom), plus four full bathrooms. The oversized master bedroom has southwest exposures and a gorgeous en suite Ann Sacks master bath with double sinks fitted with brushed nickel fixtures, a large separate shower plus a soaking tub with Bisazza tile. There is abundant closet space throughout. The apartment has a staff room which can also be used as an office or guest room. This special home has an ideal layout and is in excellent condition. There is through wall air conditioning throughout by Hamilton Air and a washer/dryer. The public rooms are wired for sound and the apartment transfers with a storage bin. Open exposures are South, West and North. 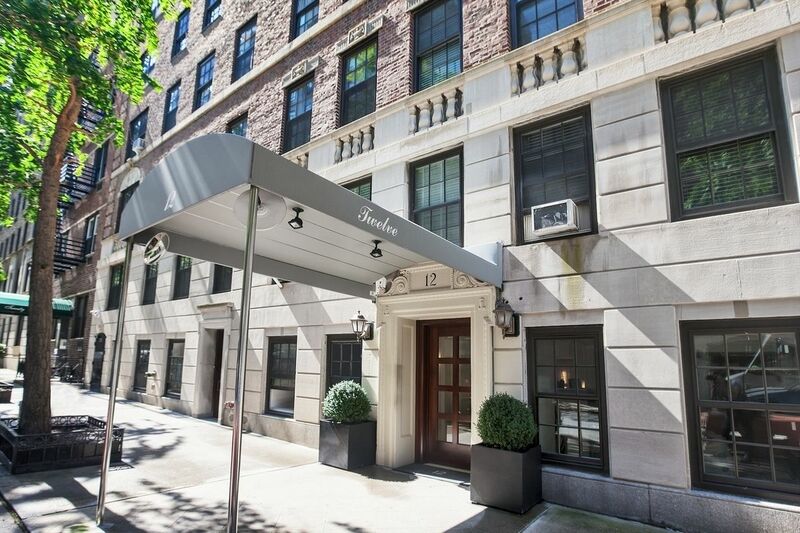 1120 Park Avenue is a white glove building located in the heart of Carnegie Hill. 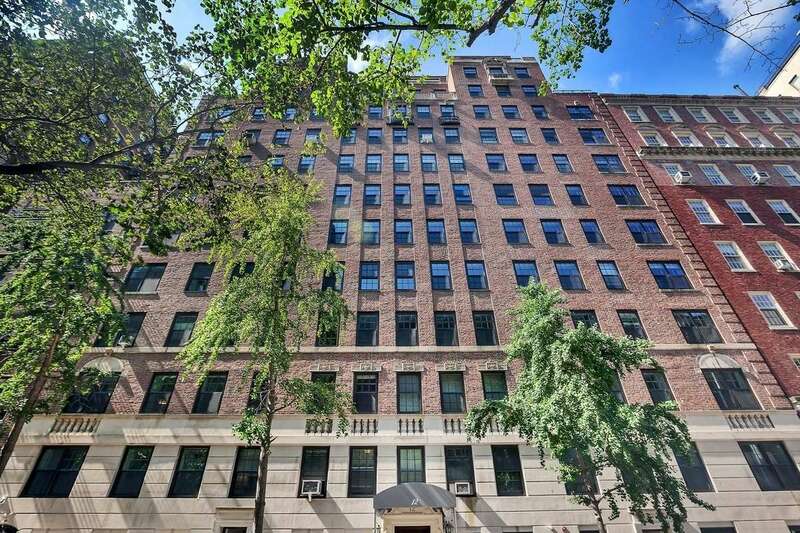 Designed by George Pelham in 1929, this 21 story full service cooperative has it all: doorman, concierge, fitness center, bike room, and private storage. Carnegie Hill is like a village within the city with Central Park, The Reservoir, boutiques, excellent restaurants, Museum Mile, and The Corner Bookstore. This gorgeous and grand full-floor loft, with 12' plus ceilings, spans approximately 3,600 square feet and offers 3 huge bedrooms (possible 4th), 2.5 over-sized baths and a fabulous 21 x 20 media room. 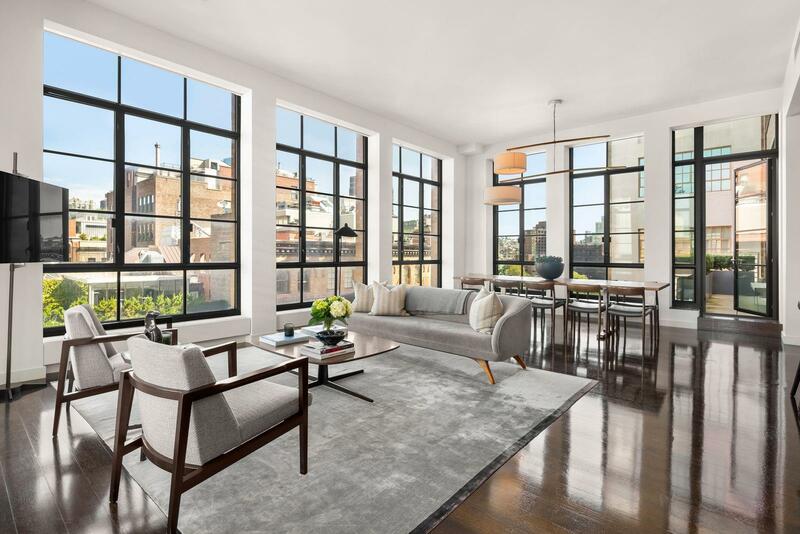 It is elegantly renovated with contemporary high-end finishes and craftsmanship, while thoughtfully retaining the integrity of the prewar loft that it is.The gracious entry gallery, with black and white marble floor, leads to the enormous, open 37 x 20' living room. Sunlight pours in through massive mahogany windows into the living room and gracious 23 x 23 formal dining room. The immense industrial gourmet kitchen has an eat-in counter, Miele appliances and wine cooler, and is open to the dining room.The East-facing 3-bedroom wing includes 2 generous bedrooms that abut the enormous media room, and an over-sized bath that has a large claw-foot, free standing tub. The impressive 21 x 17 master suite has a dressing room, the closet of your dreams, and an extra-large en-suite bath with a double sink. A 4th bedroom can easily be created.This authentic Soho loft is perfect for both grand scale entertaining and casual living. There are oak floors throughout, antique doors, original columns, storage galore, and tons of prewar detail. It is centrally air-conditioned and pre-wired for sound and has 2 storage bins that convey with the home.Built in 1894, 101 Wooster Street consists of just 9 residences across 7 floors. This well-established co-op is a classic Soho Cast Iron loft building situated on a sought-after cobblestone street between Prince and Spring, and is surrounded by the very best in luxury retail, cafes, and restaurants.Amenities include a video intercom security system and work is in progress to renovate the lobby and create a beautifully furnished common roof deck. Pets are welcome and pieds-a-terre are welcome case-by-case. * Some of the rooms in this apartment have been virtually staged. Photos shown are for representation only. You will find the virtually staged room, followed by the original room. Priced to Sell. Exquisitely renovated 4 bed & 4 bath at One Morton Square offers luxurious modern living and downtown elegance across 3,251sf on one level. Loft-like living & dining spaces with southern exposure. Oversized chef's kitchen with pairs of Miele dishwashers, Wolf ovens and Sub Zero refrigerators. 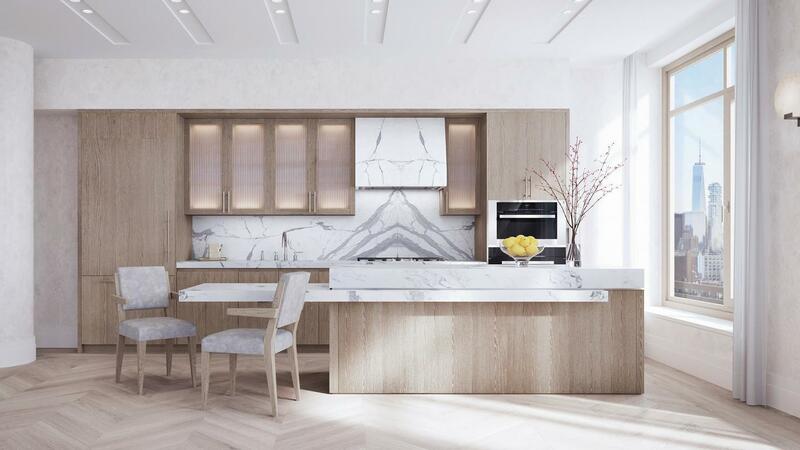 White shaker cabinets and honed Carrera marble finishes fuse old world elegance and modern luxury, while creating a gracious space for entertaining and living on a grand scale. Oversized master suite has his-and-her separate dressing rooms and a five-fixture master bath that features double sinks, an oversized glass-enclosed shower, a commode and deep-soaking tub. Custom lighting design and wiring for audio-video bring ease to this well-equipped contemporary home. Elevate your lifestyle by experiencing the highest quality of living in the most desirable neighborhood, across from the Hudson River and steps away from the renowned restaurants and shops of the Village. This is your opportunity for a superior standard of living. Located in the heart of the beautiful tree-lined West Chelsea historic district, this 2,270sf spacious 3 bedroom, 3.5 bath home overlooks the magical Seminary Park and provides owners access to this massive private garden. Immediately upon entering the apartment you are wowed by captivating views of the Park through a wall of 11 windows. The intoxicating views of trees, manicured lawns and handsome Gothic Revival architecture are as much a treat in the warmer months as they are in the winter. An entry foyer with a powder room opens to the expansively proportioned 28 X 18 Great Room with 11 ceilings. The corner, southwest sun drenched windowed kitchen with separate breakfast room includes Subzero, Bosch and Wolf appliances as well as two large closets; one serves as a pantry and one as a walk-in laundry room. The three bedroom suites face north over tree-lined west 20th street and offer charming views of historic Chelsea townhomes. The master bedroom suite with 11 ceiling includes two custom outfitted large closets and a luxuriously appointed bath with Grohe fixtures and heated floors. There are two additional bedrooms each with its own handsomely outfitted marble bath. This inviting home offers meticulous craftsmanship throughout and is complete with multi-zoned air-conditioning, oak hardwood flooring and unusually quiet double paned windows. The fifth floor has the highest ceiling height of any other floor in the building making this apartment unique. The Chelsea Enclave is a full service doorman residence (the building purchased the land on which it sits and now functions as a condominium) with a gym, kids' playroom, two stunning landscaped roof decks with grill, and parking garage underneath with direct access into the building. 177 Ninth Avenue is a block to the new Highline Park and minutes to the Chelsea art galleries, Chelsea Piers, Chelsea Food Market, Whitney Museum and the much anticipated Hudson Yards. Daily living feels effortless at the Mayfair, a stately 1925 brick and limestone building by J.E.R. Carpenter, one of New York City's most renowned architects of apartment houses in the 1920s. Enjoy room service from Michelin-starred restaurant Daniel located within the building. Ask the attentive concierge to arrange anything from a private massage to tickets to the hottest new play. There's a full-time doorman, optional housekeeping service and a parking valet, as well. 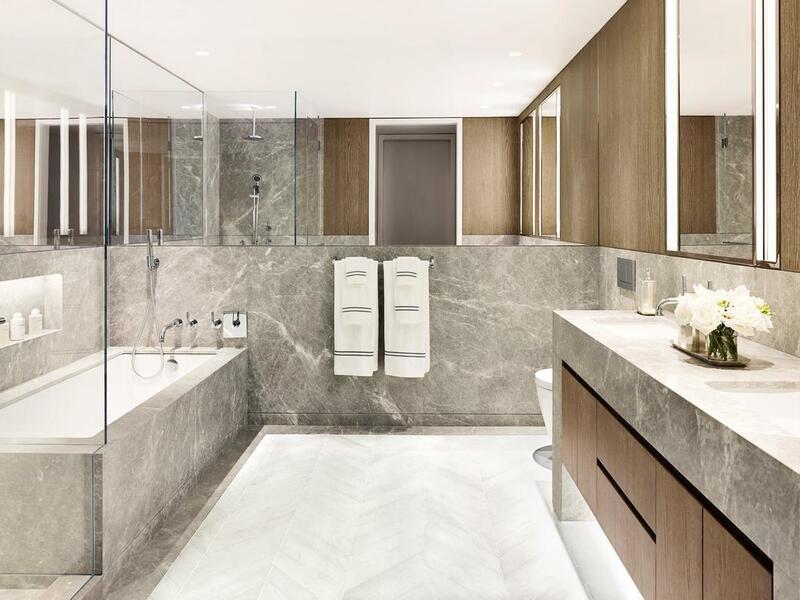 With only 68 homes,?610 Park Avenue?offers a private boutique feel with all the amenities of a full-service condominium, including a breathtaking lobby, updated fitness room, and laundry room. 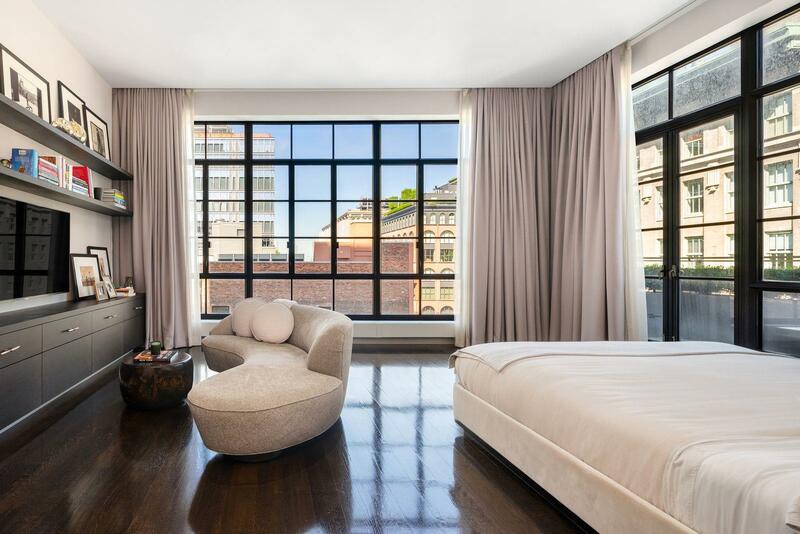 First time ever brought to market, PHA is the crown jewel of 55 White Street, a boutique landmarked TriBeCa condominium defined by its stunning cast iron facade. 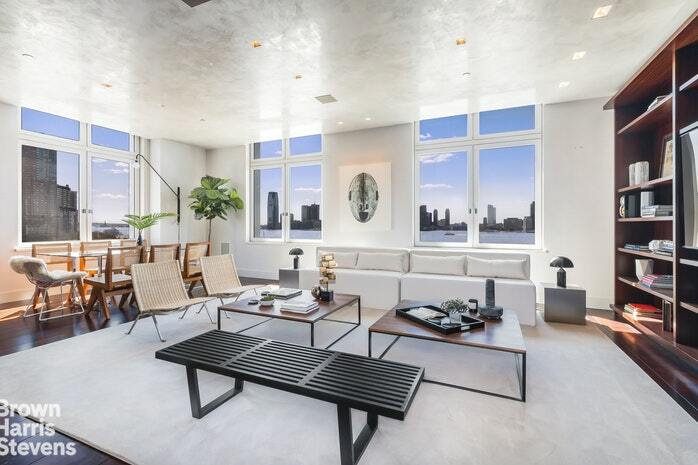 A true sanctuary in the sky, this home is the epitome of indoor/outdoor living, featuring 1,525 square feet of beautifully landscaped wrap around terraces with phenomenal views of the Empire State Building, Chrysler Building, Hudson Yards and beyond. Upon entering the main level by key-locked elevator, exquisite terrace and city views abound from every angle. Light floods through 14 oversized windows surrounding the main level with an open and airy feel. Each window is wrapped with custom millwork and provides exceptional insulation and soundproofing. The spacious living and dining areas provide a wonderful flow complemented by 11? ceilings which open to the idyllic terrace, perfect for your morning coffee, entertaining or a quiet night at home. These rooms are partially separated by a wood-burning fireplace leaving the optimal balance of privacy and openness between both spaces. The bright eat-in-kitchen directly off the dining area is outfitted with upgraded appliances by Sub-Zero, Miele, Gaggenau and Bosch. As you make way to the lower level, two skylights lead you to three oversized bedrooms. The second wraparound terrace is accessible from the master suite. The master is quite impressive and includes a wood-burning fireplace, large walk-in closet, formal sitting area and en-suite bath. The two peaceful secondary bedrooms are generously sized and provide beautiful views of the terrace and the Empire State Building. This level is complete with an abundance of closet space and new Bosch washer dryer with vent. Both floors have direct elevator access allowing for seamless luggage transportation or deliveries. The home has automated storm shutters throughout the exterior which provide excellent security and insulation. Recent improvements include a Nest security system, Ecobee thermostat and new hot water heater. 55 White Street was built in 1861 and designed by John Kellum & Son, an important fixture in the development and design of cast-iron architecture, to serve as a saddle factory for saddlers John and Samuel Condict. Converted to condominiums in 1988, amenities include a full-time super, bike storage, a new elevator and landscaped roof deck. Located in covetable TriBeCa steps from the city?s finest restaurants, shopping and parks, including the Hudson River waterfront, and local transportation. This is truly a special piece of New York City to call home. The ultimate in architecture, design and workmanship, apartment 5B at 284 Lafayette Street is an extraordinary pre-war home with beautifully executed interiors and an attention to detail rarely conceived in loft renovations. 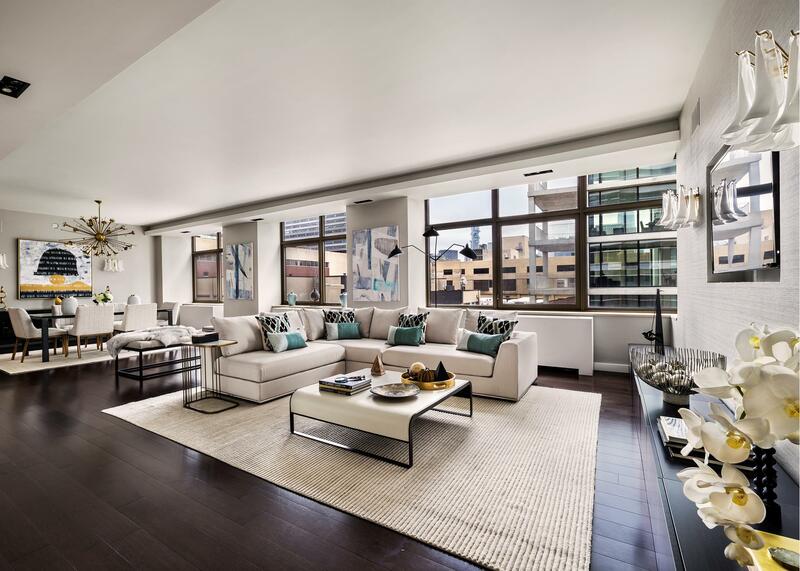 With so many wow moments from the instant one arrives in the space, this 2,500-square-foot loft offers two luxurious bedrooms, two and a half bathrooms, twelve massive windows, 10-foot ceilings and an ingenious floor plan spanning 57 feet wide. Stripped down to the studs in 2014, 5B has undergone a state-of-the-art renovation including brand new HVAC, electrical, plumbing and mechanical systems. Gachot Studios, a Soho based multi-disciplinary design firm known for projects such as the Shinola Store, Acme, and Royal Palms Shuffleboard Club, oversaw this timeless yet radical transformation.Enter the loft through a matte black door and immediately one understands how special the space is. Exposed brick, rift cut white oak flooring and 10-foot ceilings are just a few of the loft's defining features. The 26'4'' x 22'8'' great room offers the best in scale, volume and drama with six massive windows facing west over Crosby Street, original cast iron columns painted panther black, floor-to-ceiling white oak millwork in the living room, custom lighting throughout and a 26-foot long open kitchen featuring Calacatta honed marble countertops and backsplash, absolute black granite countertops on the island; a Wolf, Sub-Zero and Miele appliance package, multiple pantries and a separate bar area with wine cooler, two under-counter refrigerators and a fumed mirrored backsplash. The kitchen is larger than what one would experience in most four bedroom homes and can easily be used as an eat-in kitchen, or remain the focal point of grand entertaining. A vented hood and in-sink garbage disposal complete the list of elements that rarely exist in a pre-war kitchen.The master bedroom holds true to its name due to its sheer size and scale. In addition to accommodating a king size bed and a reading chair, it offers the optionality to also have a home office or library, a massive dressing area or another seating space; all within the existing bedroom footprint. One could even carve out a separate home office or a third interior bedroom given the amount of space currently allocated to the master. The walk-in closet is a true walk-in and is beautifully outfitted with the same oak millwork seen throughout the home. The showpiece master bathroom is clad in slabs of Nero Marquina marble and features a custom vanity with bronze legs, oil rubbed bronze fixtures by Lefroy Brooks and multiple medicine cabinets for storage. The walk-in steam shower for two has dual shower heads and a large bench akin to the best spa in town. There is also a separate water closet for maximum privacy and comfort. On the opposite side of the loft is a large and bright second bedroom with a black monochromatic bathroom featuring a large walk-in shower, black subway tiles, custom vanity and light fixtures and a separate toilet. There is also a wall of custom oak millwork with closets, drawers and counter space for extra storage. Two more closets, a walk-in kitchen pantry and the stunning powder room are additional components of this masterful loft floor plan. Designed with all of the comforts and conveniences expected in a luxury home today, 5B offers multi-zone central cooling and heating, a Crestron home automation system, in-unit vented laundry and brand new landmark approved windows. 284 Lafayette is a 20-unit authentic loft conversion perfectly positioned in the northern pocket of Soho and Nolita. The pet friendly building has solid financials, low maintenance, a keyed-elevator, smart phone compatible video security, private storage and allows shareholders to sublet. All information regarding a property for sale, rental or financing is from sources deemed reliable but is subject to errors, omissions, changes in price, prior sale or withdrawal without notice. No representation is made as to the accuracy of any description. All measurements and square footages are approximate and all information should be confirmed by customer.